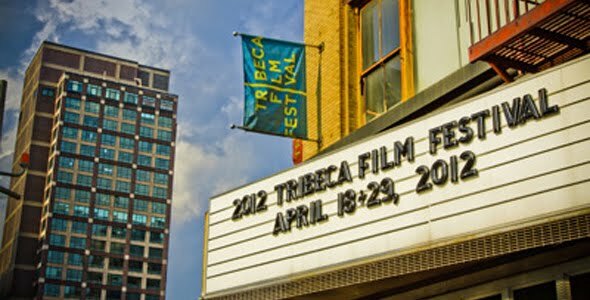 The 2012 Tribeca Film Festival (TFF), which runs from April 18 to 29 at various locations in New York City, is still an event in the process of defining itself. The hiring several months ago of former Cannes Directors Fortnight topper Frédéric Boyer and the increased programming involvement of Geoffrey Gilmore, Chief Creative Officer of Tribeca Enterprises, points to the Festival’s ambition to be a major showcase of world cinema. Rounding out the curatorial team are Genna Terranova, who was promoted to Director of Programming and Cara Cusumano, who returns as Programmer. While TFF is still home to new American films, both indie and Hollywood, it seems to be banking its reputation as a strong showcase of international cinema, which is good news indeed for New Yorkers always on the lookout for hot titles from both known and newly discovered film talents. The 2012 film selection includes feature films from 32 different countries, including 53 World Premieres, 5 International Premieres, 16 North American Premieres, 10 U.S. Premieres and six New York Premieres. Professional poker player Uriel has been on a real hot streak—with the ladies—since his marriage fizzled out. But in between growing his online gambling business and helping to raise his kids, Uriel has rediscovered his old pre-marriage flame, Gloria…. Starring the great Valeria Bertuccelli (XXY) and Oscar®-winning songwriter Jorge Drexler, this romantic comedy from Daniel Burman unfolds in the acclaimed director’s signature style: poignant, natural, and bitingly funny. From the director of LA CIUDAD comes this moving drama about a single mother (Abbie Cornish) caught in emotional quicksand after losing her job and custody of her son. Desperate to earn cash for her custody battle, she makes the daring choice to help smuggle illegal immigrants over the border. A deep connection to a young Mexican girl will take her on a life-changing journey and force her to confront her past. Acclaimed Chinese-Indonesian director Edwin (BLIND PIG WHO WANTS TO FLY) returns with a gorgeous, dreamlike fairy tale set inside Jakarta’s wondrous Ragunan Zoo. Abandoned in the zoo as a little girl and raised among the wild menagerie, Lana finally embarks outside the peculiar confines she has always known—and into the seedier side of Jakarta—when she falls in love with a charming magician. Fed up with catering to the privileged tourist class, Cuban teens Raul and Elio are tantalized by the promise of a new life in Miami. Accused of assaulting a foreigner, Raul has no choice but to flee, but Elio must decide whether his own escape is worth abandoning his beloved sister. Brimming with the nervous energy of Havana’s restless youth and evocative cinematography of the sun-bleached capital, UNA NOCHE follows one sweltering day, full of hope and fraught with tensions, that burns to a shocking climax. UNIT 7 is a semi-official police detail with a seemingly impossible mission: kick Seville’s most vicious drug trafficking ring out of town ahead of a major international expo. By any means necessary. As they slip outside the bounds of the law in the name of duty, two officers fueled by violence, lies, and ambition end up on opposing paths. Spanish superstar Mario Casas (NEON FLESH) stars in this adrenaline-pumping action thriller. At 14, Komona has lived through horrors that eclipse any adult’s worst nightmares. In this mesmerizing, otherworldly drama, shot entirely in the Congo, she confides to the baby growing inside of her the harrowing story of her life since rebel warlords stormed her village. Fortified by eerily mystical powers and the warming friendship of an albino boy, the sensitive girl battles through this dire, war-ravaged world enchained as a child soldier. Returning to the role that won him TFF’s Best Actor award in Eytan Fox’s YOSSI & JAGGER in 2003, Ohad Knoller is extraordinary as Yossi, a closeted gay man living a solitary existence in Tel Aviv. A chance encounter with a group of soldiers ignites Yossi’s desire to live an open, fulfilling life. Directed with uncommon honesty and compassion by Fox, this is a deeply moving film about the power of second chances.